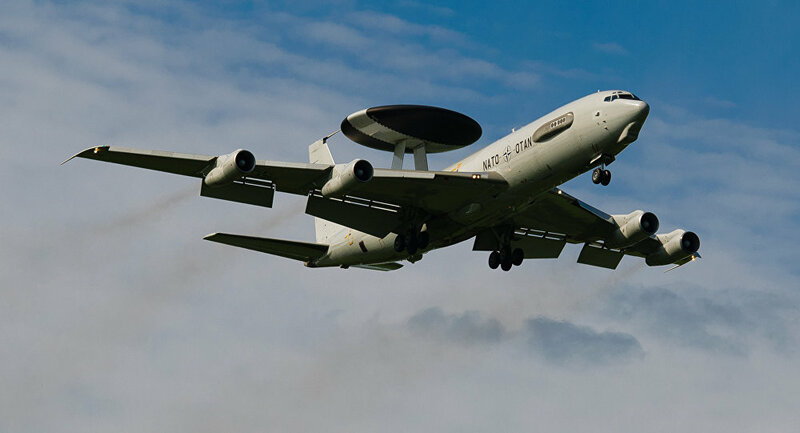 On October 17, a US' AWACS plane violated rules and dangerously approached a Russian Su-35 jet over Syria, the ministry's spokesman said. "On October 17, the crew of a US aircraft E-3 AWACS drifted down nearly one kilometer from its height and dangerously approached a Russian Su-35 fighter jet at the distance of less than 500 meters in violation of all air safety rules in [Syrian] airspace near Deir ez-Zor," Maj. Gen. Igor Konashenkov said. Shortly after the incident, the command of the Russian Aerospace Forces at the Hmeymim airbase in Syria's Latakia contacted the US side asking for explanations. Konashenkov said that representatives of the US Air Force Command "apologized for the incident and promised to work with pilots to further avoid such situations." US Air Force Central Command chief Lt. Gen. Jeff Harrigian claimed on Friday that a Russian military aircraft flew dangerously close to a US jet over Syria on October 17. According to Harrigian, in the latest incident the jets were less than a half-mile apart, and Russian authorities said the pilot did not see the US counterpart. The commander further claimed that Russian aircraft intercept US planes "every 10 days-ish." Moscow is surprised by Pentagon's attempts to shift the blame for the incident on the Russian Aerospace Forces, the general said. "We are surprised by yet another attempt of the US military command to shift the blame for the dangerous approach of the US plane to Su-35 fighter jet on the Russian Aerospace Forces." Konashenkov said that Russian and US pilots cooperate to avoid dangerous incidents in Syrian airspace, adding that Moscow informed of the Su-35 jet's route in advance. "This incident proved that effective cooperation has been established between Russian and American pilots allowing to avoid such incidents in future." In October 2015, senior officials from the US Department of Defense and Russia’s Defense Ministry signed a memorandum of understanding on safety in Syrian airspace that has proven effective so far.